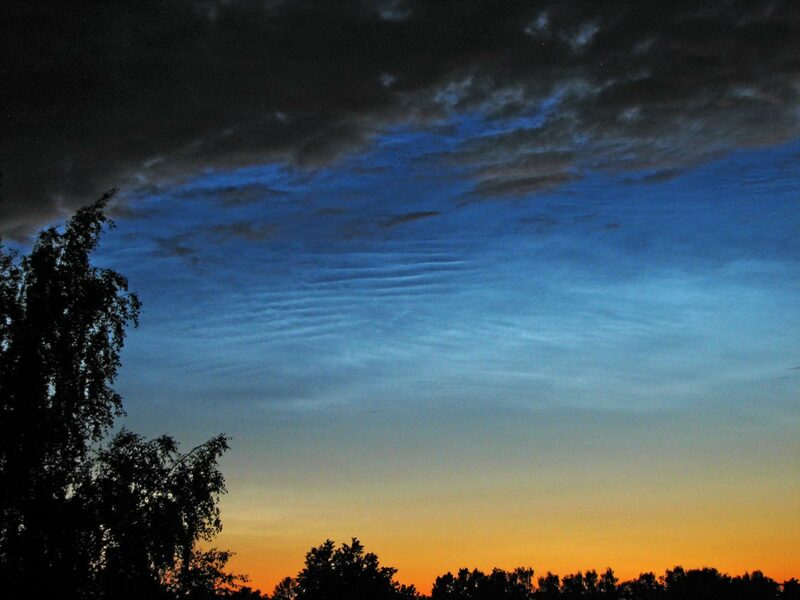 Note the dark tropospheric clouds scudding beneath the much higher-altitude, glowing noctilucent clouds. 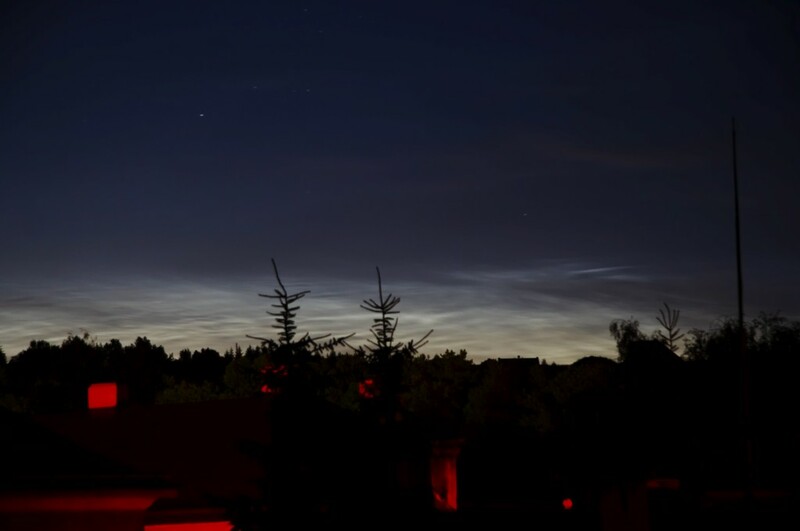 Very bright NLC clouds in Gniewowo North Poland. I went with my girlfriend and a dog for a walk. 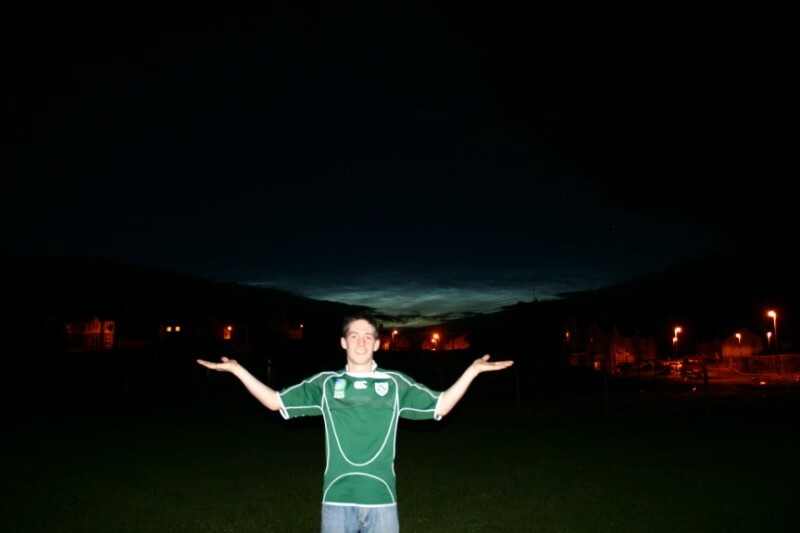 After several minutes, my girlfriend said "See those strange clouds? What is that? This is beautiful. Thank you for taking me for a walk!" Photo details: Nikon D70s 400ISO Nikkor 3.5 2s. 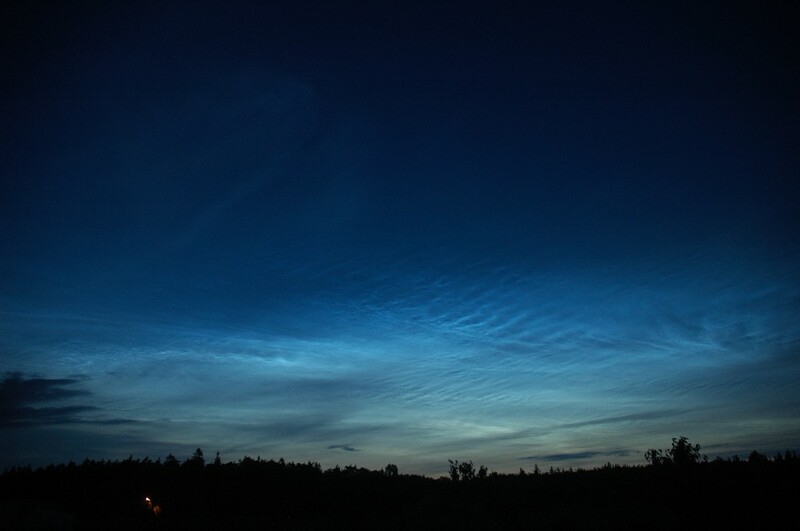 I've spotted noctilucent clouds only two times this year, but yesterday it was a very spectacular sight here in Lithuania. Howewer it vanished very quickly, after almost an hour from taking this shot. Photo details: Nikon D40, ISO 200, f/9, 30s exp. Mornington, Co Meath, Republic of Ireland. A mile south of New Quay on the west coast of Wales, UK. 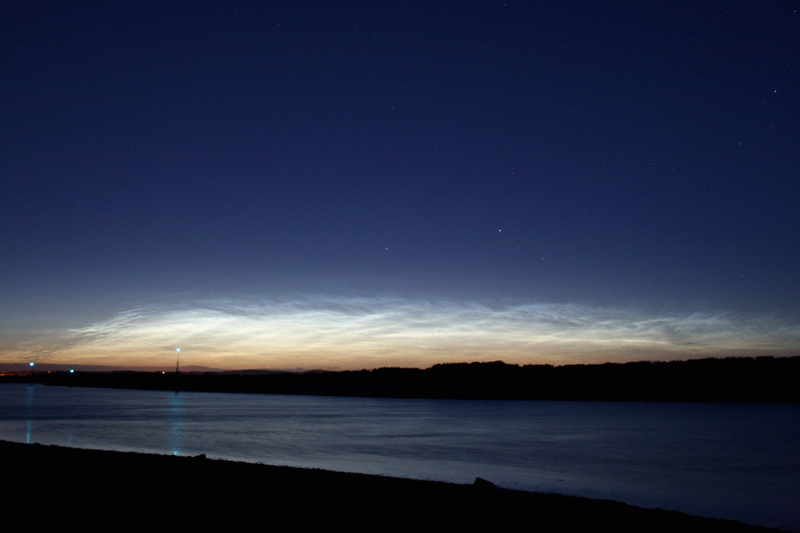 Taken from just south of New Quay on the Welsh coast at around 1am on the 27th June 2008 by Grant Privett. 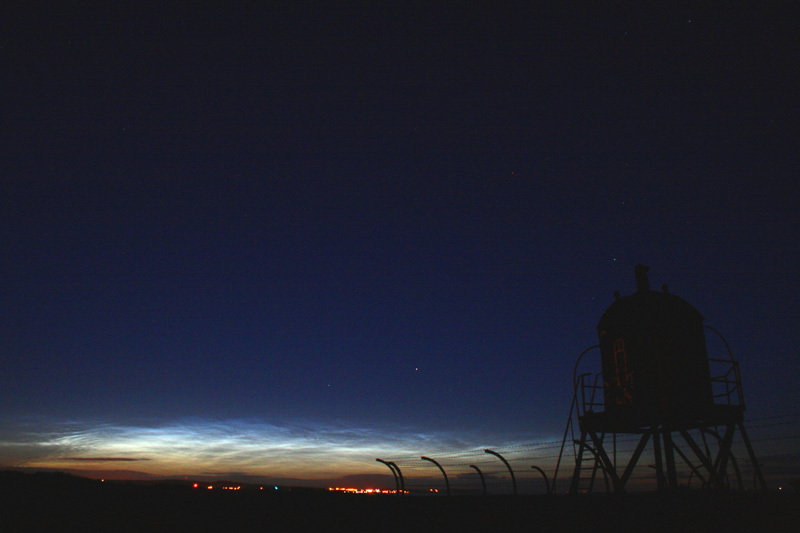 Initially very low over the horizon and difficult to see (about half as high up the sky as Capella), but it became much brighter and spread across the northern horizon covering twice the length of The Plough. 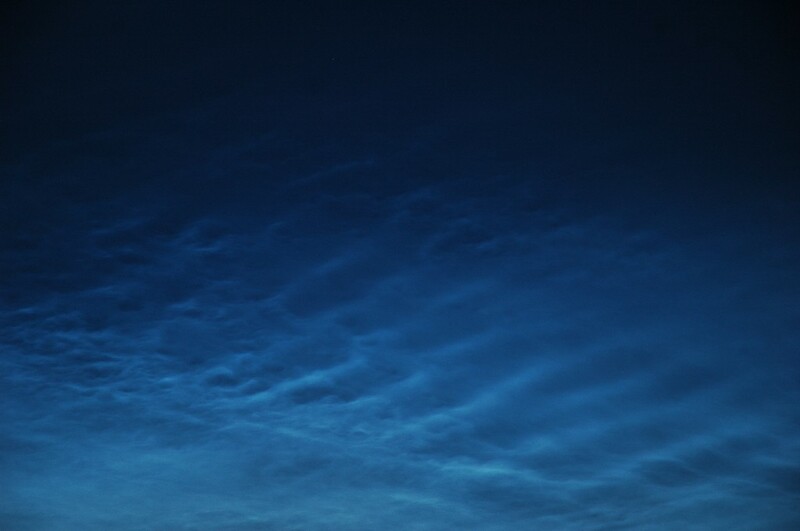 Very obvious, even after the Moon rose. Lasted until the onset of dawn drowned it out with continual variation in intensity. 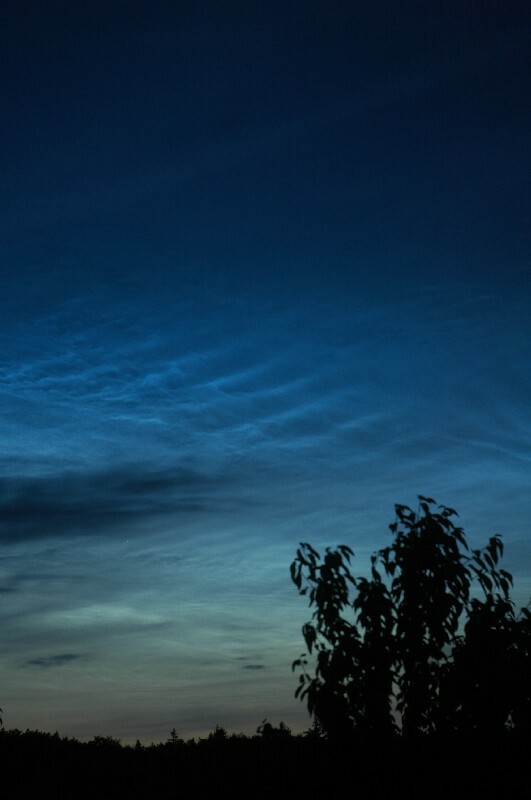 Nothing was visible 30 mins earlier. Image is a single 60s exposure with a Panasonic DMC-FZ7 perched on a fence post. The distant lights are on the Llyn peninsula in north Wales. 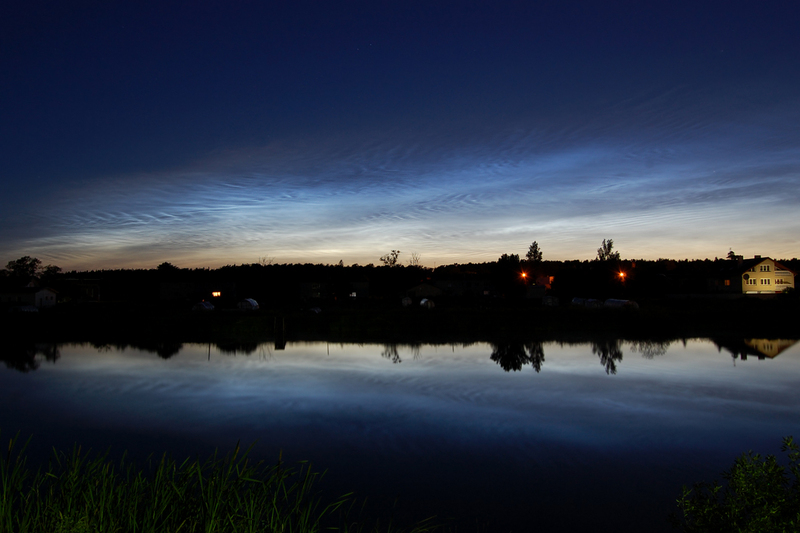 There was very bright Noctilucent clouds, low above horizont. Captured by webcams and Canon EOS 350D. Exposure 5-30s, ISO 100. 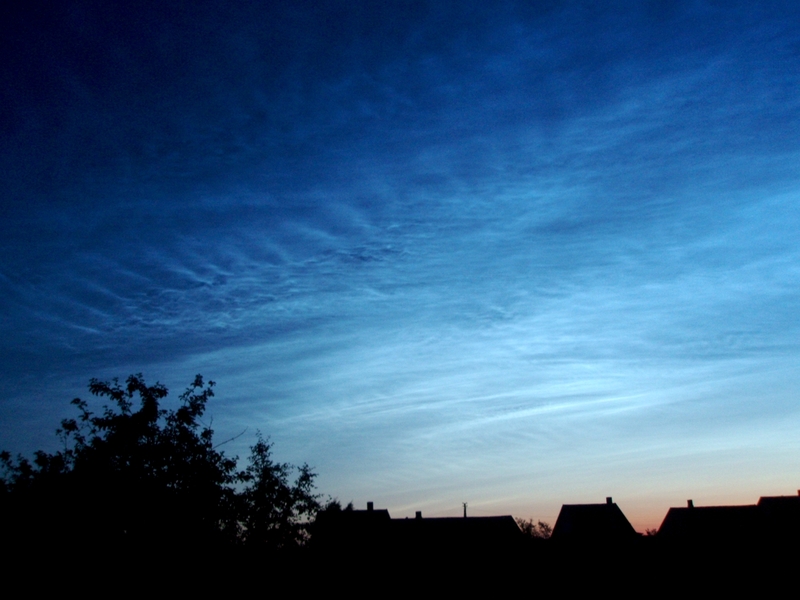 Time: 20:25-21:50 UTC.